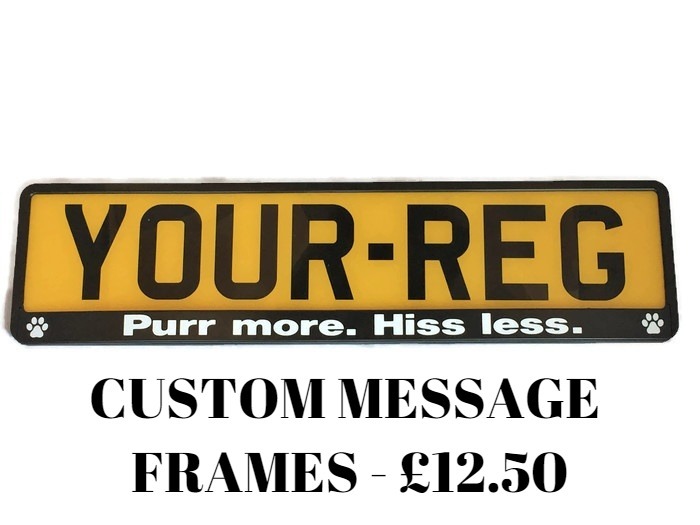 We have teamed up with Great Plate Mate to offer Number Plate Surrounds with catitude! FITS STANDARD UK FRAMES Get your surround with cat paws as shown (black or pink frames in stock). 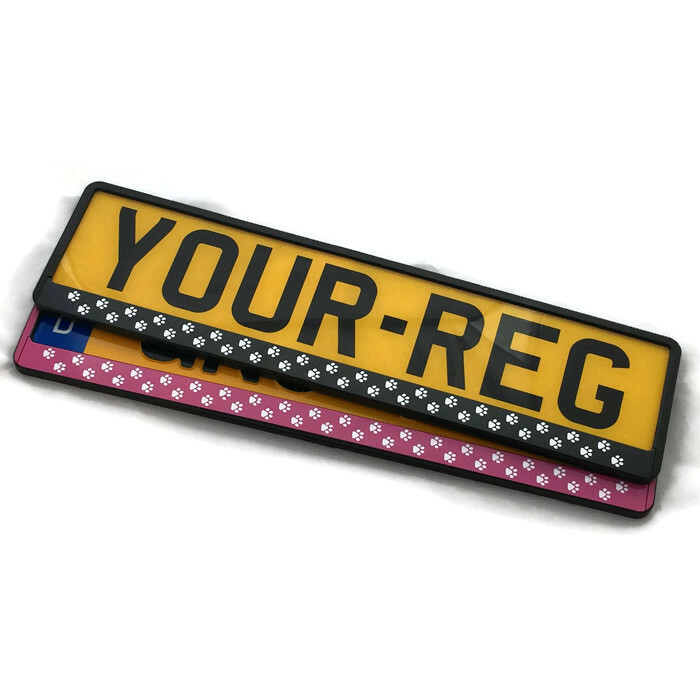 This listing is for 1 surround and does not include the plate.